"It is with great pleasure that I announce my involvement with the Prognosis festival," Townsend told Prog. "I will be giving two ‘clinics’ delving deep into my recording process for the latest record Empath with my techniques for both singing and playing the instruments that contributed to its creative completion. "I will be performing my new acoustic show to cap off the event. It will be an informative and exciting festival with a ton of great artists involved and I'm also going to be involved in the to be announced music business conference side of the festival. I hope to see you there!" 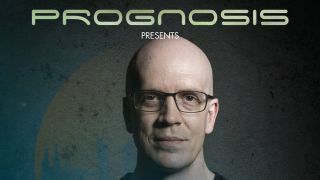 Prognosis takes place on March 22/3 at the Effenaar venue in Eindhoven. Townsend will be performing live on the Saturday, as well as hosting two music clinics. A guitar clinic on the Friday from 3.10-4.10pm and a vocal and production clinic on the Saturday from 10.45-11.45am. Further information is available from the festival website.